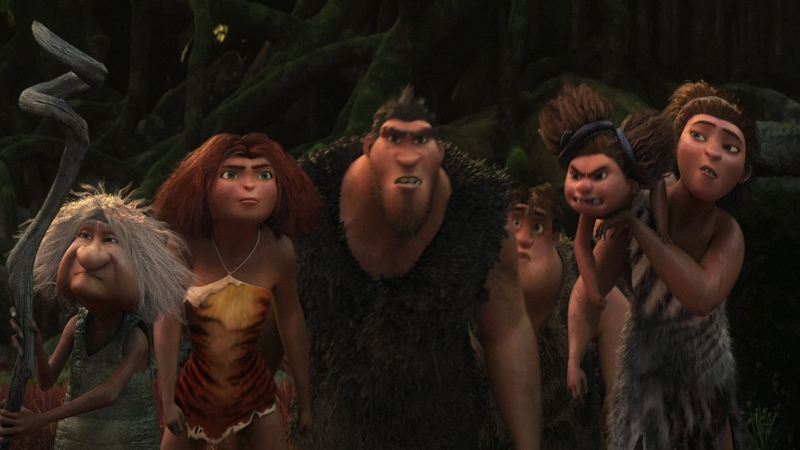 New home video releases of The Croods offer interactive activities. The Croods have invaded home entertainment with Blu-ray 3D, Blu-ray and DVD versions of DreamWorks Animation’s $568 million box office blockbuster now available from Twentieth Century Fox Home Entertainment. What that means for parents – in addition to a funny and entertaining flick – is lots of “Dun Dun Dahhh!” That’s the favorite line from Belt, one of many unique creatures dreamed up by writers/directors Kirk DeMicco and Chris Sanders to inhabit the prehistoric adventure. The computer-generated movie is actually the first from DreamWorks to utilize brand new performance capture technology – just like that used in the latest video game hits like Grand Theft Auto V, The Last of Us and Beyond: Two Souls. This allowed the animators to get a real-time look at what their movements would look like in the movie – something that in the past was done by filming themselves in a room trying out moves. This technology also allowed the directors to control the in-movie camera to see exactly what the audience would see in the completed film. The similarities between making a digital film and creating a virtual game world based around that film has allowed DreamWorks to work closely with game makers D3 Publisher and developer Torus Games. As part of multi-film licensing agreement with DreamWorks, D3, a division of Square Enix, collaborated with the filmmakers on The Croods: Prehistoric Party for Wii U, Wii and Nintendo 3DS. The game allows up to four players to take part in an assortment of family-friendly mini-games and adventures.